Among the presenters were members of Girl Scout Troop 10434 (from left Desiree Myers, Lauren Samson and Lauren Jones). The young women presented their artwork and played popular music that inspires confidence in girls and women. 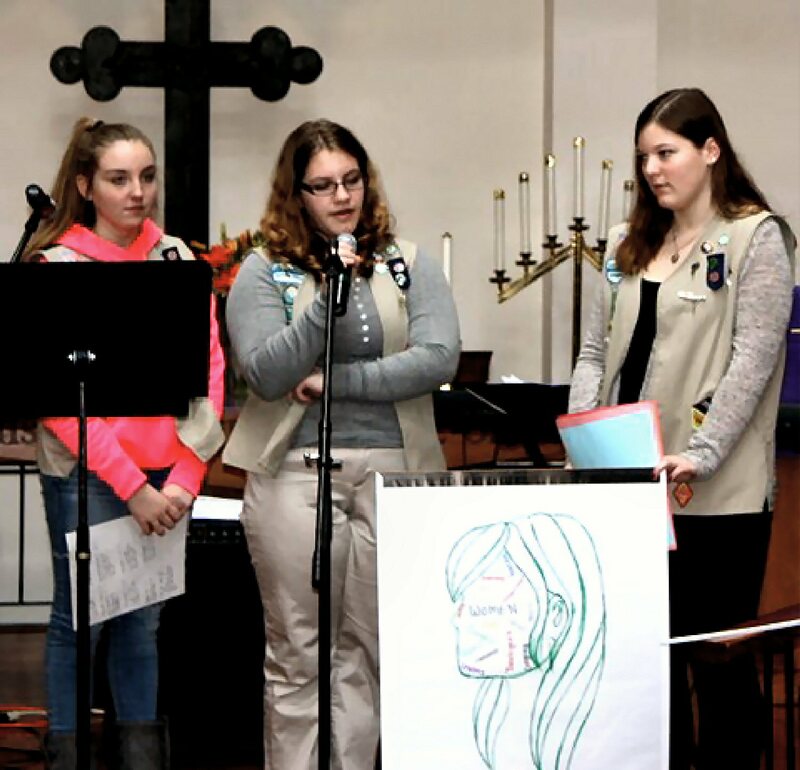 The presentation was a portion of their Girltopia Senior Girl Journey that is also shared with younger Cadette Scouts to make the girls feel strong and empowered.